After Netflix, welcome VIU, another video on demand service comes to India. 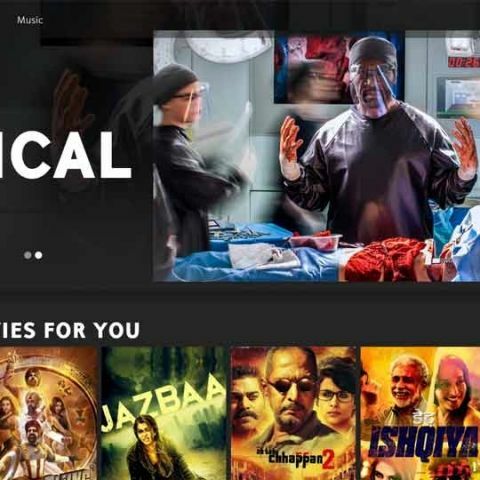 After successful launches in Malaysia, Hong Kong and Singapore, Viu, an Over-the-top (OTT) video-on-demand (VOD) service from Vuclip launches in India today with best of Bollywood and English content, including popular English serials such as The Kennedy’s, Allo Allo, Critical, Olympus, 19-2, The Clean Break and bollywood movies among others to entertain the diverse Indian audience. The launch partners include FreeCharge which will be the payment wallet partner for Viu and eBay that will be providing strategic distribution partner and will offer various packages and bundles related to Viu. Consumers can subscribe to a premium portion of the service which includes an ad-free experience, as well as access to additional premium content for Rs. 99 per month or just choose to use the 'freemium' service. ​Viu is accessible via mobile phones and tablets as well as desktops by downloading the Viu app on Google Play or on a desktop browser and will be available in the Apple store soon. You can read the full press release below. NEW DELHI, March 3, 2016: Viu, an Over-the-Top (OTT) video-on-demand (VOD) service from Vuclip, a PCCW Media company, and the leading premium video-on-demand service for emerging markets, launches today in India. The largest freemium video on demand service in the region is aimed at winning the hearts of India’s ever connected and always ‘on-the-go’ youth with fresh and high quality video content. FreeCharge, eBay and others support this vision by having signed on as strategic partners. Viu has forged content partnerships with top production houses and content owners such as Reliance Big Entertainment Pvt Ltd., Sony Music, Zee Digital Convergence, Tips Industries Ltd., Balaji Motion Pictures, Rajshri Entertainment, Unisys Infosolutions, Shemaroo, Anand Audio, and BBC Worldwide to keep its viewers entertained. 17,000+ hours of fresh Bollywood and Indian regional movies in 10+ languages. 70% of RS. 100 Crore Club movies are on Viu. FreeCharge will be a preferred payment wallet partner for Viu and will offer a free one-month trial subscription as well as offer cash back deals for premium subscribers. eBay India Pvt. Ltd. has also signed on as a strategic distribution partner and will offer various packages and bundles related to Viu. Viu, built on Vuclip’s patented Dynamic Adaptive TranscodingTM technology, leverages Vuclip’s eight-year history of providing streaming video on demand entertainment experiences to emerging markets. These eight years have provided a wealth of consumer insights, as well as a best in class approach to content editorial and curation for ease of discovery and consumption. Content is kept highly secure using world class digital rights management technologies integrated with industry leading service providers Verimatrix and Vualto. Viu launches as a freemium service, with Indian consumers having access to thousands of hours of content for free. Consumers can also subscribe to a premium portion of the service which includes an ad-free experience, as well as access to additional premium content for Rs. 99 per month. Viu is accessible via mobile phones and tablets as well as desktops by downloading the Viu app on Google Play or by typing in www.viu.com on a desktop browser. Available in the Apple store soon. service center for qiku q terra in india?